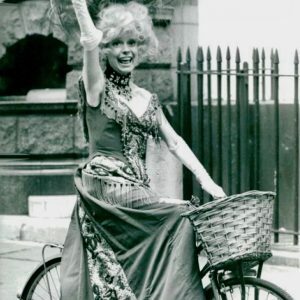 Carol Channing rides a bike. R.I.P. 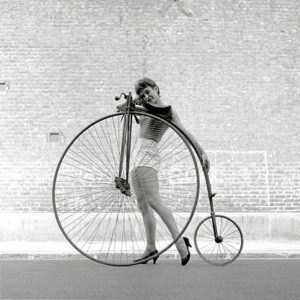 Frances Pidgeon models a bike, Ken Russell takes the photo, Penny Farthing on loan from The Troubadour coffee house, London, 1956. 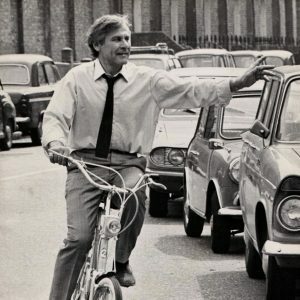 Sam Wanamaker rides a bike.